Provide comfort for the family of Barbara Jorgensen with a meaningful gesture of sympathy. Barb H. Jorgensen, 75, of Marcus, Iowa, was called home to be with our Lord and Savior on Friday, January 18, 2019 at Unity Point Health in Sioux City, Iowa. Funeral services will take place at 10:30 a.m. on Wednesday, January 23, 2019 at Faith Lutheran Church in Marcus, Iowa. Rev. Alan Cummins will officiate. Burial will follow at Marcus Amherst Cemetery. Visitation with the family present will begin at 9:00 a.m. on Wednesday at the church. Barbara Helen Jorgensen was born on February 15, 1943 in Denver, Colorado to John “Bud” and Gert (Viken) Peterson. The family lived in Denver, Colorado, Rinard, Iowa, Marcus, Iowa, Archer, Iowa and Santa Monica, California. Barb graduated from Santa Monica High School in 1960. Bud passed away while living in California so the family moved back to Marcus, Iowa. Barb then worked the overnight shift at the admitting desk in the Cherokee Hospital. Her mother married Dale Lynn so Barb worked for him at Lynn’s Feed Store. Paul Jorgensen and his brothers had an implement shop next to the feed store and that’s where he and Barb met. They were married on January 14, 1967 at Faith Lutheran Church in Marcus. For several years Barb was a homemaker while her children were growing up. Later, she cleaned at the Post Office with her Mother for several years. Along with her family, Barb also cleaned the office of the Farmers Coop Elevator and delivered newspapers for many years. She then went to work in the clothing department at Walmart in Le Mars, Iowa when it first opened. She worked there for 17 years before retiring. Paul passed away on June 11, 1994. Barb was a very loving and wonderful wife and mother. She was a very kind, caring person with a big heart. She was an extremely devoted daughter who vowed to always be there for her Mother after her Dad died. Later, she spent many years selflessly and tirelessly being a caretaker for her Mother until the very end. Barb was a member of Faith Lutheran Church where she had taught Sunday School and Vacation Bible School. Barb loved children and animals, especially her cats. Her hobbies included photography, enjoying the outdoors, playing cards and games with her family, watching basketball and baseball on tv, and occasionally playing the lottery and visiting the casino. She also spent a great deal of time with her family at her favorite place, Lake Okoboji. Grateful to have shared her life is her daughter, Tammie Atchison and her husband, John and their sons, John Jr. and Jacob of Sioux City, IA; a daughter, Karen Jorgensen of Marcus, IA; a son, Paul Jorgensen, Jr. and his sons, Kadyn and Logan of Estherville, IA; a sister, Nancy (Max) Drefke of Marcus, IA; a brother, John “Bud” (Sandy) Peterson of Carthage, IL; a sister Diane (Keith) Grage of Gregory, SD; a sister, Virginia (Steve) St. Amand of San Diego, CA; a sister, Janet Kelly of Sioux City, IA; a sister-in-law, Marlene Jorgensen of Galva, IA; and several nieces, nephews, cousins and friends. She was preceded in death by her parents, husband, Paul; and a brother, Jim Lynn. 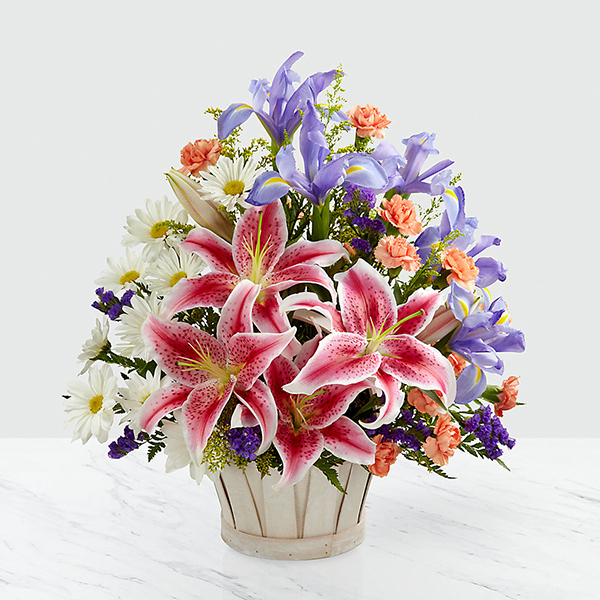 To send flowers in memory of Barbara Helen Jorgensen (Peterson), please visit our Heartfelt Sympathies Store. Visitation will begin at 9:00 am Wednesday at the church prior to the funeral. Rich, Robin, Amanda, Brooke, and Colby Wilmesherr sent flowers to the family of Barbara Helen Jorgensen (Peterson). Rich, Robin, Amanda, Brooke, and Colby Wilmesherr purchased flowers for the family of Barbara Jorgensen. I am sorry for the loss of your loved one , Ms. Barbara Helen Jorgensen. Expressing my sincere condolences to the family. May the God of all comfort sustain the family from his word the bible during time of grief. 2 Corinthians 1:3,4. We are truly awaiting the fulfillment of the wonderful promise that our loving God has given us at John 5:28,29. Yes, to welcome our love ones back to life on earth in paradise by means of the resurrection hope under God's Kingdom. Matthew 6:9,10.